He explained with enthusiasm why Rick’s sharp, animated storytelling was to be revered. The way he illustrated a tale of cops and robbers, a dope fiend named Dave and a pregnant damsel, an old hostage and two impressionable nephews with their eccentric uncle―an entire world built in under five minutes. My curious child’s mind was easily enamored with a story that featured simple yet intricate details, fascinated by what a rapper who wrote not just as a songwriter but as a creative author. 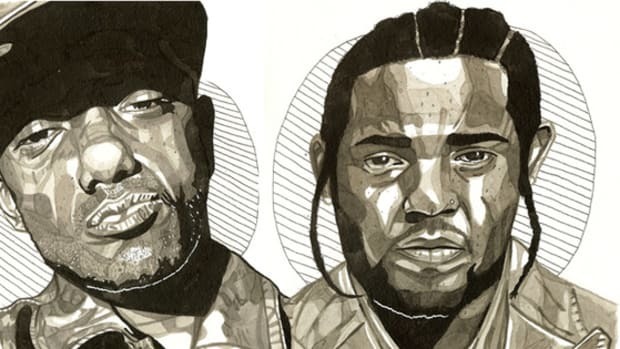 Hip-hop has a long lineage of exceptional narrators. 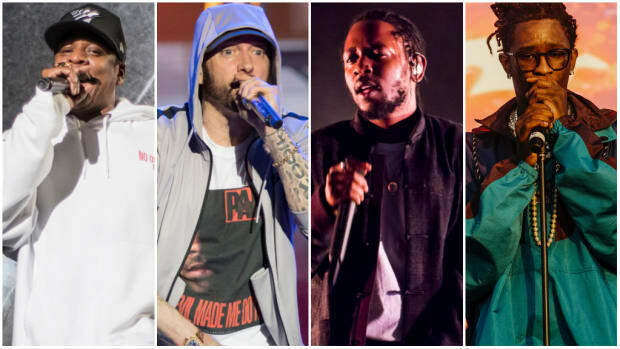 While stylistic changes over the last four decades have altered the approach many artists take with their music, the basis of most rap songs is still fundamental storytelling. Slick Rick’s gift for world construction inspired but isn’t easily replicated. Still, there’s an astounding number of artists, new and old alike, who understand that the creative mind can be vast and boundless; artists who approach their craft with new and inventive blueprints to bring imagined ideas to audio life. One particular approach to tale-telling that isn’t acknowledged enough is the narrative told from an outside perspective—when a rapper leaves his or her own shoes and enters new skin, giving a voice to a man, woman, or object who is unfamiliar to the audience. 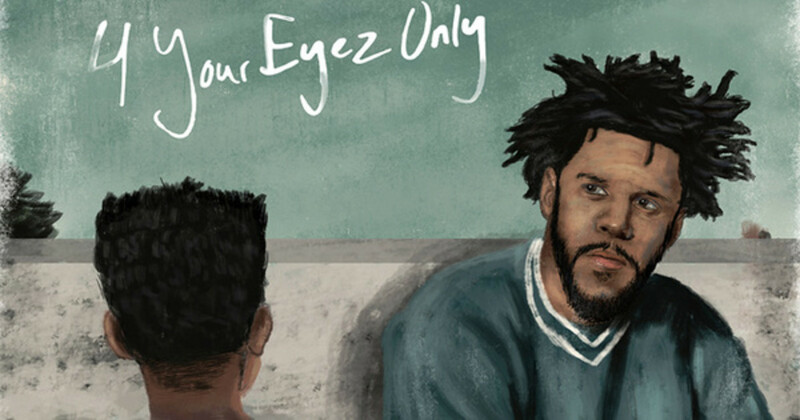 On 4 Your Eyez Only, the North Carolina rap star&apos;s fourth studio album, J. Cole builds an entire concept on the back of another man’s story, the life and death of late childhood friend who is profiled under the pseudonym James McMillian, Jr. Cole’s attentive concern with details ascends his previous artistic ceiling as a writer. 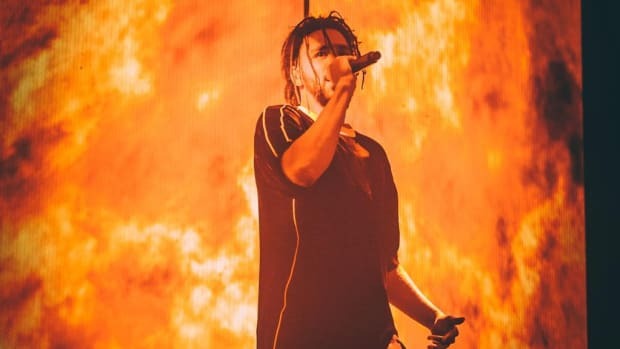 The self-titled track “4 Your Eyez Only” is an eight-minute collection of memories leading up to James&apos; final moments and Cole fulfilling the request he promised to complete. You as the listener enter the mind of a man nearing death’s suffocating grip, understanding what his world was like as the reaper crept closer. 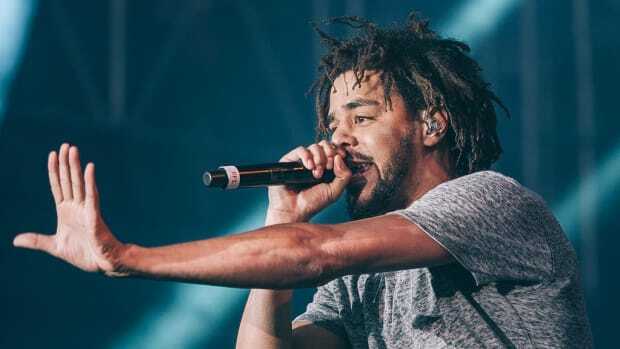 Even the way Cole delivers his verses carries a certain rasp that makes the song feel like an out-of-body experience―he is simply a vessel being borrowed for the intention of spreading the gospel of a dead friend to his living daughter. By taking himself out the equation and becoming the author of James&apos; unfortunate outcome, Cole allows the audience to absorb the song and album in a way that wouldn’t be possible if he simply told the story from his own point of view. There’s a layer of intricate focus necessary to build narratives and identities for outside characters. Cole’s 4 Your Eyez Only wouldn’t have worked as a song or an album without considering all the nuances of telling another man’s story. It’s the same needed perspective that makes Eminem’s “Stan” such a breathtaking tale of deranged hero worship and obsessive fandom. Em had to become Stan, give him a world with a wife, a nephew, and a burning desire to reach a man he knew only from afar. Building the story around letters and voice recordings allowed for both Stan and Em to issue a final response as isolated narration, a dialogue that was still connected without requiring the two to communicate. From a friend’s death to a fifth of Vodka, we enter the maddening world of Stan before the grand finale of Eminem’s long-awaited response. “Stan” is a flawless display of the disillusionment between fan and artist, genius from concept to execution. Vic Mensa took noticeable cues from “Stan” for the foundation of a story where letters connected a three-character narrative. The Autobiography&apos;s “Heaven On Earth” follows Vic coming to grips with the murder of a friend. Wisely, Vic allows both the friend and the murderer to speak, giving the song a feeling of completeness. It&apos;s important for listeners to be able to hear each side, especially the man who ultimately pulled the trigger. 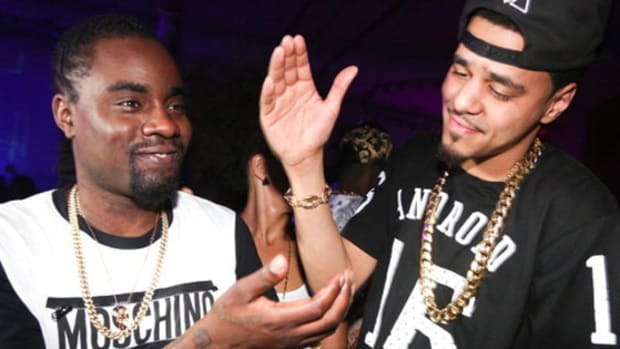 While some rappers, like Eminem, have the inventiveness to conjure a fictional entity to voice a worldview, many have walked a similar path as J. Cole and used songs to pass down the tales of men who were either once alive or still are. On his third studio album, LAX, The Game recreated the final moments of Tupac, Biggie, and Eazy-E’s lives on "Never Can Say Goodbye.” The song begins with breaking news clips of their unfortunate passing. Game is in rare form as he vocally does his best imitation of each artist, not only stepping into their minds but channeling their unique cadences and deliveries as well. Game is many things, but above all else, he&apos;s a student of the greats, and his homage immortalizes the last minutes of the the lives of three lost legends. While Game focused solely on death, Nas crafted a song around the entire life of Rakim when he recorded “U.B.R. (Unauthorized Biography of Rakim)." In under four minutes, Nasir gives listeners a detailed history lesson on the legendary MC, converting an impressive amount of information into rhyme (even though Rakim didn’t take the homage well when the record was initially released). Raekwon, another admired and acclaimed storyteller, employed a similar approach to sharing an artist&apos;s biography when he teamed up with CeeLo Green to tell the story of Marvin Gaye. From his birth on the 2nd of April to the bullet from his father’s gun that took his life on April 1, Marvin&apos;s tale is delivered with incredible vividness. Raekwon’s samurai-sharp penmanship has been documented throughout his lengthy career, but hearing him provide an accurate account of Marvin Gaye’s life with an entire Wikipedia data dump was great even by his standards. Similar praise can be given to Lupe Fiasco, an author and poet who has filled hip-hop with descriptive tales of skateboarding misfits and undead hustlers. Still, in a deep catalog of creative genius, “Hip-Hop Saved My Life” stands out as a remarkable play-by-play of a Southern rapper on the rise. Inspired by Slim Thug, the song takes pieces of the Houston rapper&apos;s real life and builds a narrative around the experiences of his come-up. “Hip-Hop Saved My Life” isn’t a biography, but it’s not complete fiction—Lupe took what was necessary to complete a realistic portrait resembling a Southern rap OG. 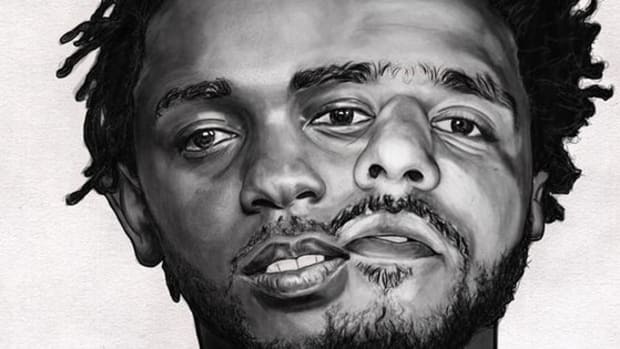 Beyond the boundaries of humanity, personification is the literary device many rappers have used to bring surrealism into rap’s authentic reality. 50 Cent’s “A Baltimore Love Thing” turns Curtis Jackson into the aggressive, manipulative mouthpiece for heroin. Expertly, he was able to make the highly addictive drug sound like an abusive lover, but also describes the attributes of what the drug does to the mind once puncturing the vein. Styles P&apos;s "Nobody Believes Me" brings listeners into what can only be described as a weed-induced dream when the rapper&apos;s knife, gun, haze, and money all begin to speak to him with humorless precision. 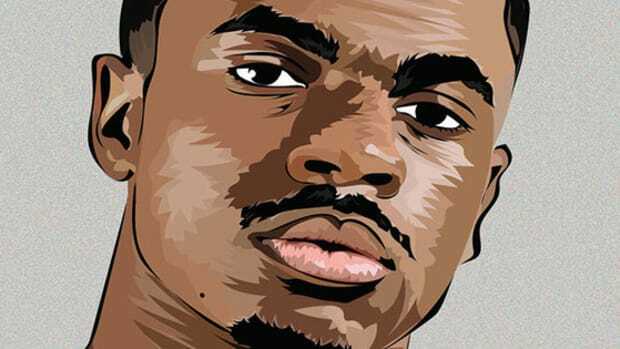 50 and Styles&apos; brilliance, however, can&apos;t match what Nas was able to do on “I Gave You Power.” One of the greatest stories in hip-hop of all time, Nas takes on the point of view of a gun with blunt realism. It’s one thing to enter the mind of a man, but it&apos;s another to enter the mind of a gun and flawlessly describe its violent perspective. From Immortal Technique&apos;s harrowing story of Billy Jacobs on "Dance With The Devil" to Logic stepping into the shoes of a man struggling with suicide on "1-800-273-8255," the list of hip-hop artists who have used songs as a vehicle for incredible, out of the box storytelling is endless. The genre may never receive the same accolades, recognition or respect as writers in television, film and literature, but rap is filled with some of the best stories and storytellers in the world—it&apos;s so much more than Ice Cube having himself a good day. 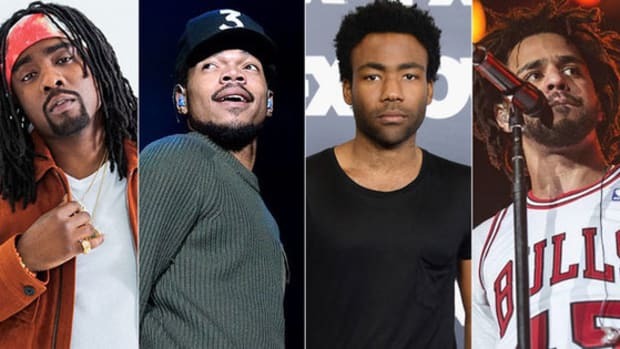 How hip-hop is allowing artists to break the vicious cycle of generational poverty.